Hello. I have been absent, but not sleeping. 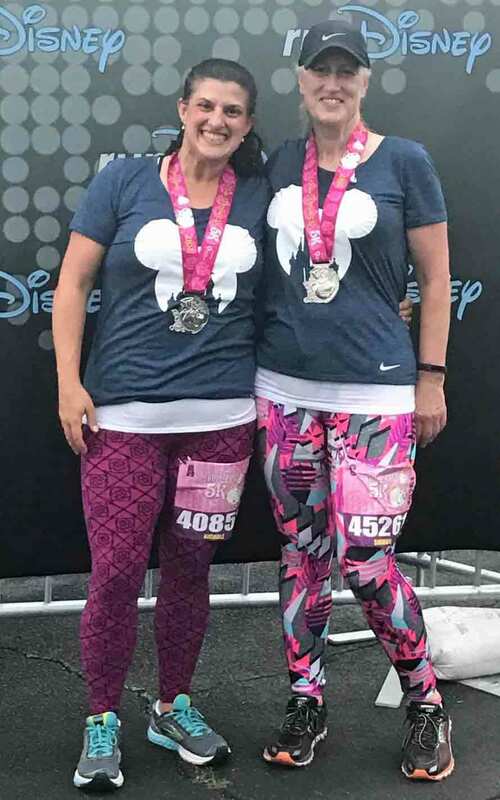 I was preparing and running another Disney race. This time I ran @ Disney World, in Orlando, Florida. This is us, after we ran our first race: 5K. And yeah, Nichole made our shirts! We typically wear our own 'pants', but we always want to look like we 'belong together'. So, our navy wicking shirts, have large white Mickey ears on them, with the Princess Castle cut out of the bottom. We enjoyed every mile of that run. 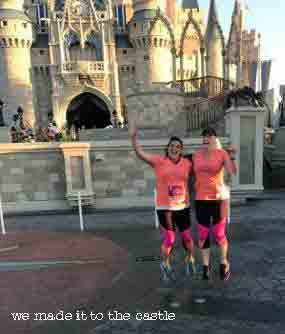 We ran through the amusement park, and enjoyed all the scenery! We spend the next day looking through Disney themed stores, and other shops @ Disney Springs. We did a little carb loading that evening, and went to bed early that evening, to prepare for our bis race. Along the 13.1 mile route, we stopped at various mile markers for photo opportunities. But, the most magical stop, was the half-way point: the Princess Castle. It was truly magical! and unforgettable! When we crossed the finish line, the announcer said my name! It was very surprising and exciting at the same time! We finished the run without struggle, and alive with energy! Oh, and yeah, matching outfits! And yes, Nichole made these running shirts too! 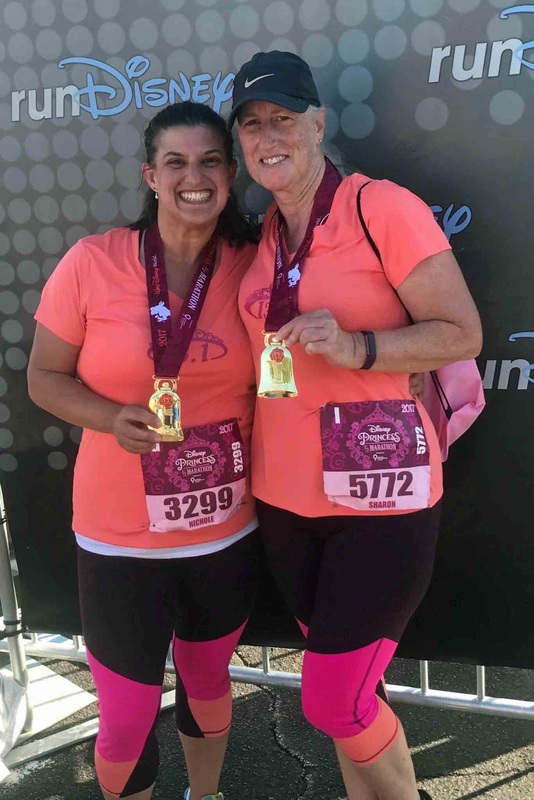 The tiara and 13.1 were done in a coordinating pink! How perfect! The weather was perfect while we were in the Orlando area. The mornings were mid 50's for our races, and the afternoons warmed up to mid 70's, so we could enjoy walking around town. Stay tuned, we are running @ Disney in a few months - May. Look for more race photos then. Congrats! Looks like you had fun. You and Nicole look wonderful!! Love the T-shirts!